Goodreads: The majestic and haunting beauty of the Italian Alps is the setting of the first meeting of Enza, a practical beauty, and Ciro, a strapping mountain boy, who meet as teenagers, despite growing up in villages just a few miles apart. At the turn of the last century, when Ciro catches the local priest in a scandal, he is banished from his village and sent to hide in America as an apprentice to a shoemaker in Little Italy. Without explanation, he leaves a bereft Enza behind. Soon, Enza's family faces disaster and she, too, is forced to go to America with her father to secure their future. 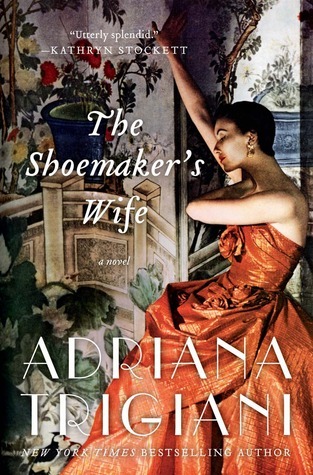 Kritters Thoughts: A historical book that sets the standard, and this is my first Adriana Trigiani read, must admit! For my first read of hers, I was blown away and am hoping to read more of hers very very soon. A sweet love story that spans over 30 years that has many ups and downs, but in the end the reader is more than satisfied with the journey between these two Italians who must immigrate to the United States and start a new life without their immediate families. I loved how their love story wasn't easy and you, as the reader, never know when they will meet up and if this could be the time where it clicks and then end up together forever. As a woman who loves to have a career, I loved having a woman character set in a very different culture in our country who valued having a career and providing for herself and her family. This historical story will be passed among many of my female friends and family members because the story is just too good to put down. I've had my eye on this novel for a while and all the favourable reviews makes me want to read it even more. Great review! I'm only two chapters into this book but I'm really liking it so far! WOW, that is a statement...a book that sets the standard for historical fiction. AWESOME.